Many people avoid spicy foods. Perhaps they can’t bear the taste, or perhaps they can’t bear the consequences spicy foods have on their stomaches. As a person with Indian parents, I have been around spicy food my whole life. Because of this, I have noticed that other people that come from places with a considerably hotter climate eat considerably hotter food. This, apparently, is no coincidence. 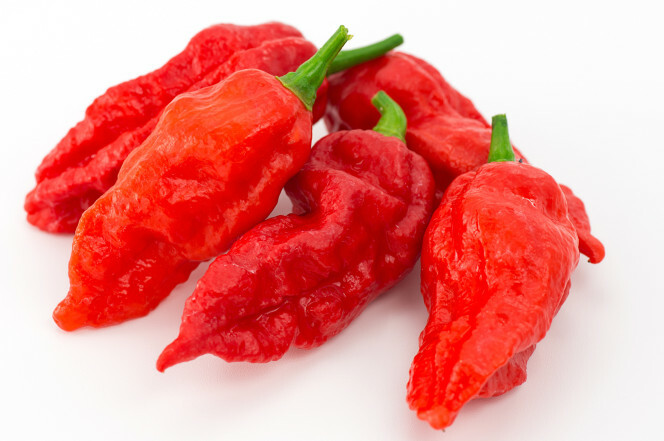 While many of us hailing from these climates have a high threshold to spice, we would all fall prey to the hottest pepper in the world: the bhut jolokia chili pepper, also known as the ghost pepper. 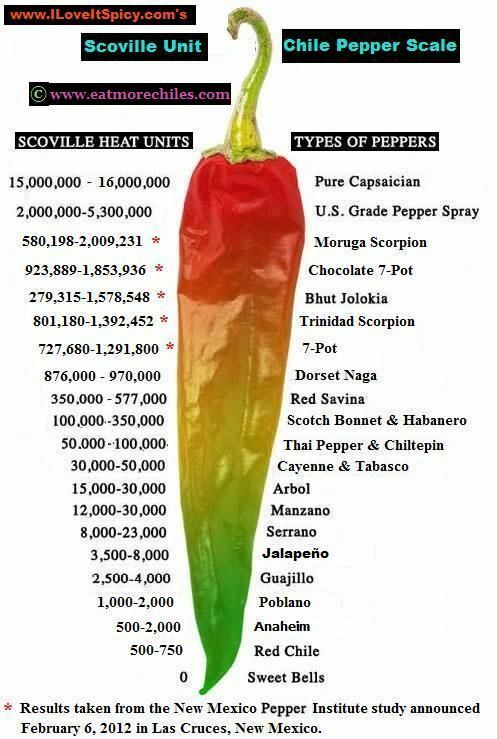 Discovered by Paul Bosland, professor of Horticulture at New Mexico State University, the pepper rates at 855,000 to 1,041,427 Scoville heat units, a measurement of spiciness. That’s 107 to 417 times hotter than a jalapeño and 10 times hotter than a habañero. Hypothesis: Spicy foods can have a dramatic effect on the human body, possibly to the extent of killing you. Studies: Bosland made claims that a 1980 research study calculated that 3 pounds of pepper in powder form could kill a 150 pound person. A man Ruari Barratt was hospitalized after eating a burger laced with in concentrated piri piri sauce from India. In the most significant case, a San Francisco man who entered a contest at a local restaurant ingested a pureed ghost pepper atop a hamburger. He began immediately vomiting after eating the burger and could not stop, landing him in the emergency room. He developed chest and stomach pain, presumably because he could not stop vomiting. A CT scan showed a torn esophagus. Conclusion: It is not the pepper itself that can cause all this damage, but rather the reaction to the pepper. The hole in the man’s esophagus was not burned simply by coming in contact with the ghost pepper, it was a tear as a result of the frequent retching a vomiting from ingesting the pepper itself. So perhaps for a person who has little to no reaction to spicy food, they would be completely fine after eating one of these red hot peppers. While people feel hot as the take a bite of spicy food, there is actual no change in temperature. 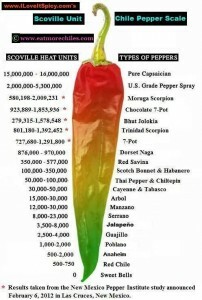 This is because false heat sensation is capsaicin’s ability to latch onto pain receptors known as TRPV1, which are normally only activated in the presence of heat. Once the heat-sensitive receptors are triggered into activation, your brain is made to believe you are actually close to a source of heat. This entry was posted in Uncategorized on December 2, 2016 by Mansi M Patel. Double the Language, Double the Smart? I have always known the importance of language. My parents are trilingual, and I was raised bilingual. In college, I major in psychology and minor in a language as well, in hopes of one day being trilingual like my parents are. As a psychology student, I’ve been taught that the brain is a sponge, and during childhood we pick up on things faster, language included. However, the age old question is: does being bilingual make you more intelligent? Bilingualism creates changes in the brain that researchers can actually see. When looking at fMRIs (machines that track brain activity), there was more brain activity in both hemispheres of the pre-frontal cortex in bilingual people. Some researchers hypothesize that this is because in order to answer in one language, the other needs to be repressed. Because of this, bilingual children are believed to be better at completing mental tasks and puzzles. Hypothesis: Bilingual students perform better on mental tasks that involve them having to switch attention from one thing to another. Null Hypothesis: Being bilingual has no effect on a student’s performance on mental tasks. Study: In 2004, psychologists Ellen Bialystok and Michelle Martin-Rhee asked monolingual preschoolers were asked to sort blue circles and red squares on a computer screen into two separate digital bins, one marked with a blue square and the other marked with a red circle. First, they were asked to sort by color (blue circles to blue square bin and red squares to red circle bin). This task was easy for both groups. Then, they were asked to sort by shape (blue circles to red circles bin and red squares to blue square bin). The bilinguals were significantly better at this task. Conclusion: While intelligence is so varied and cannot be exactly proven by these skills based tasks, it is unfair to say whether or not being bilingual can make a person more intelligent. However, there is significant research on this particular hypothesis that makes it quite clear that bilingual children are certainly quicker at performing these mental tasks, when they involve switching attention. Therefore, the hypothesis is proven. Switching attention is a large part of intelligence and daily life, including driving. Can we assume that this means bilingual students are better drivers as well? Again, nothing that broad can necessarily be proven, as everything involving this kind of intelligence is mostly situational. This popular study does suffer from the Texas sharp shooter fallacy because it ignores the data against bilingual children and what they are considerably worse at than monolingual children. Or perhaps there is no research on this part of the study because maybe there are only benefits to being bilingual. Many people say music is food for the soul. I know that when I hear someone singing soulfully or with passion, I immediately begin to tear up. For me, it’s any kind of high pitched women’s opera. This isn’t necessarily my favorite kind of music, but this is simply how my eyes reaction. Sometimes our bodies have reactions that are out of our control. But how do your pupils react? 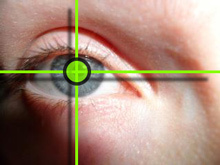 Pupillary responses have been a well known recorder of how one reacts to something emotionally. Considering music creates an emotional response for many, scientists decided to investigate music’s effect on people’s pupillary reactions. Pupillometry is sometimes used as a physiological measure of emotional reactions to music because other measures all require participants to wear sensors and can be somewhat invasive. Experiment: Pupillary dilations were measured in 30 German-speaking participants (15 males and 15 females) by 80 short classical musical excerpts normalized for intensity and selected for their stylistic uniformity. The subjects then provided ratings of arousal, tension, pleasantness and familiarity, all induced musically. The subjects were examined for certain listener-qualities like mood, stress reactivity, self-reported role of music in life, and liking for the selected music, as well as the subjective responses to music. Hypothesis: If music plays a larger role in one’s life, the larger the pupillary dilations will be. If the music is rated as more arousing or tense, it will also cause larger dilations. Null Hypothesis: The role music plays in a person’s life will not have an effect on the size of one’s pupillary dilations. 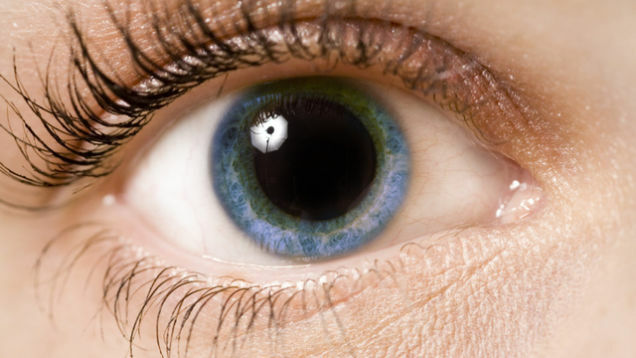 The music being arousing or tense will also have no effect on pupillary dilations. Results: In this correlational study of the results, the hypothesis proved to be correct, but complex. Arousal and tension (measurable physiological feelings) ratings were significantly correlated with the average pupillary response. Participants self-reported interest in music in their life also affected the size of their pupillary response. Males overall exhibited larger dilations than did women. Potential Error: Having subjects self-report something in an experiment is always risky. Participants often lie or are not completely truthful. For example, maybe participants lied about how great of a role music played in their lives because they believed those questioning them were big music people, and henceforth wanted to impress them. Also, the participants were all German-speaking students. Perhaps the role of music is very varied throughout culture as well. I have to wonder whether or not the study would produce different results in an Asian-speaking country or another country, considering not just the role of music, but what people find arousing, tense, or pleasing can not just vary from person to person but from culture to culture. I doubt most of sit around thinking about our pupils while we are listening to music, but it is interesting to see how something so everyday like music has an innate response in our bodies such as the dilation of pupils. Since puberty, us females have been given the same advice time and time again: avoid that chocolate/burger/plate of fries if you don’t want acne! As kids, we weren’t sure what this really even meant. Under the impression throughout my teenage years that people got a pimple for every French fry they ate, I avoided them at all costs, and credited this practice to my clear skin. Just as many people avoid vaccinating their children because they simply heard somewhere that it could potentially cause autism, many people like myself avoided foods rich in fat and oil just because they read in a tabloid that this would help maintain clear skin. The difference between these two, however, is while the benefits outweigh the risks when vaccinating your children, the risk of getting acne from eating unhealthily is high. Background: Acne vulgaris (simply known as acne) is a skin condition in which oil and dead skin cells plug up hair follicles, resulting in various kinds of pimples, blackheads, and bumps. It is a universal skin disease, however it is extremely prevalent in westernized societies, affecting 79% to 95% of the population’s adolescents, while acne is less prevalent in non-westernized nations. Scientists began to wonder why this may be. Study: In a 2002 observational study published in Archives of Dermatology, dermatologists traveled to 2 different non-westernized populations: Papua New Guinea (East Asia-Pacific) and eastern Paraguay (central South America). Of the 1200 Papuan New Guineans and the 115 Paraguayans observed over 843 days, not one case of acne was spotted. In another example, a doctor who spent 30 year treating the Inuit (Eskimo) people noticed that the presence of acne was absent, until acculturation with western societies. After acculturation, the presence of acne became similar to that of societies like ours. In acculturation, the Inuit people began to eat processed foods that are a part of the daily lives of many Americans. Conclusions: Researchers looked at the biggest differences in acne prevalence between non westernized and fully modernized societies and concluded that the factors in whether or not there was a presence of acne in the society was not just genetic, but mainly due to differing environmental factors, such as the resources used to make food. These non westernized societies had all natural diets. The Papua New Guineans intake little to none of alcohol, caffeine, or dairy products, while the Paraguayans ate mostly wild, foraged foods, and locally cultivated foods. 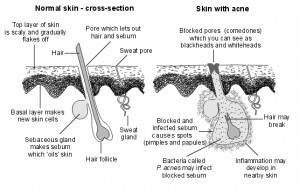 While genetic susceptibility to acne can never be totally ruled out in the interpretation of these observations, it is unlikely that the absence of acne in the Paraguayan and Papua New Guinean people resulted entirely from genetic resistance to acne, since there have been cases of acne found in other South American Indians and Pacific islanders, whose ethnic backgrounds are similar to the ones in this study. These people, however, live in more westernized settings than the ones in this study. While this study may suffer from the Texas sharpshooter fallacy because diet is the only factor that is completely explained, this may also be simply because diet is the main variable in whether or not a society has a prevalence of acne. In many westernized societies, there are people with similar genes to the Paraguayan and Papua New Guinean. These people do, however, have acne solely because of the difference of diet. How to Improve Your Own: Proactiv, Accutane and other popular acne treatments aside, we’ve all seen those articles online or those commercials on TV with the title proclaiming “How I Lost My Acne in Just 6 Weeks”, or some other variation. It is unclear precisely how long it takes for acne to clear up after switching to a healthier diet, particularly a dairy-free diet. It seems to vary from each individual’s success story. The average is anywhere from 3-8 weeks. While it may take trial and error to decide what kind of a diet works for you personally, commitment is the biggest challenge for many. Slipping up just once can cause a breakout, like it did for Starre Vartin. So unfortunately, it is evident that the processed foods we all know and love are a huge contribution to our skin troubles. It might be time to walk past the McDonald’s on your way home this weekend. This entry was posted in Uncategorized on December 1, 2016 by Mansi M Patel. 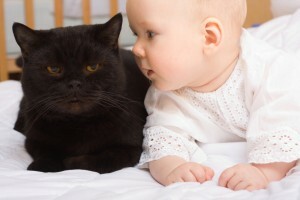 When we think of cats, many of us are reminded of rather ornery creatures that are always sneaking and lurking around. My best friend growing up had a pet cat who would always sit in the dark corner of her basement and almost never come out. It doesn’t help that black cats are also associated with bad luck, particularly around the spookiest time of the year. So yes, cats don’t necessarily have a good rep to most of us. But, while some of us hate them, some of us are self proclaimed “cat-lovers”. Either way, I’m sure we all know someone who has a cat or have owned one ourselves (perhaps not by choice), considering they are the second most popular house pet (after dogs, of course). However, not many of us know people with schizophrenia. About 30.4% of the United States’ population owns a cat, but only roughly 0.007% of people in the US have schizophrenia (roughly 2.2 million). So what do cats and schizophrenia have to do with each other? A surprising statistic relate the two: a little over half of people with schizophrenia owned a cat at some point in their childhood. Hypothesis: The parasite Toxoplasma gondii (T. gondii) found in cats can be passed onto humans, entering the brain and forming microscopic cysts. Scientists propose that the bacteria remains latent for several years, and not actually affecting most people that have T. gondii in their brains, but still affecting some later in adolescence (when symptoms of schizophrenia typically begin to emerge) by messing with the connections between neurons, which causes the disease. Therefore, the hypothesis is that the families of people with serious mental illness were more likely to have pet cats during the person’s childhood (Foley, 2015). Null hypothesis: There is no relationship between having mental illness, particularly schizophrenia, and the ownership of cats. This is what researchers are trying to disprove. Experiment: A 1982 questionnaire was distributed to 165 families belonging to the National Institute of Mental Illness. The NAMI consisted of families in which at least one member was diagnosed with schizophrenia, schizoaffective disorder, or bipolar disorder or severe depression (with psychotic features). The most important question, one amongst many in the 2 part page questionnaire that included additional questions about breastfeeding, developmental milestones, coordination, rheumatoid arthritis and multiple sclerosis, asked if there was a cat living in the house with the affected family member at any point between birth and the age of ten. The control group of this experiment were the family friends of these NAMI families who filled out the same questionnaire, and whose children had not developed any mental illness. Results: 84/165 (50.9%) of the cases and 65/165 (39.4%) of the controls responded yes, they did in fact own a cat. No causal relationship is shown, therefore also ruling out reverse causation (having the gene for schizophrenia causes someone to own a cat in their childhood). However, there still is a link. So was the hypothesis proved? Based on the results of the survey, more than half of the families in the NAMI that completed the survey owned cats. This is a significant amount, therefore proving the hypothesis that the families of people with serious mental illness were more likely to have pet cats during the person’s childhood than they were not. This study by researchers E. Fuller Torrey and Robert H. Yolken, suffered from the file drawer problem, because it all of the data was collected in 1982 but not published until 1995. Prevention: Obviously, people are not going to just stop owning cats. However, to prevent the spread of T. gondii to yourself, you should avoid cat feces or be very careful with how you handle it (if you must). You should probably take precautions such as wearing gloves and/or immediately washing hands afterwards. 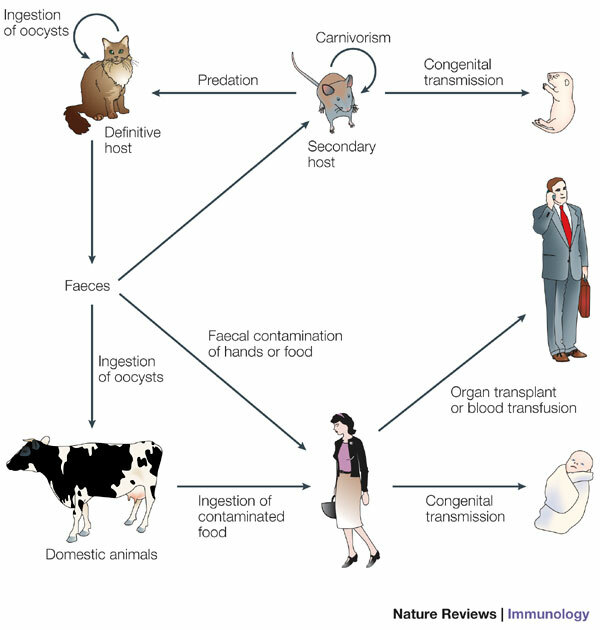 Cats pick up the bacteria from preying on rats, who are congenitally transmitted it at birth. It can also be transmitted through the eating of undercooked, contaminated meat. Many of us remember the E.Coli outbreak and how that affected the food we bought. Unfortunately, is impossible to tell if meat containing T. gondii has the bacteria or not. It’s up to you whether or not the benefits outweigh the risk, with eating meat as well as owning a cat. No wonder most folks are dog lovers. What does complaining do to your brain? Complaining is something that we all do. On average, a person complains once throughout a typical conversation. Ask yourself the following question: How many times have I complained today? In most cases, it’s innumerable. So what exactly is complaining? Complaining is more or less expressing dissatisfaction or resentment. Some people will use the excuse “I’m just venting!”, but in reality, complaining has a large toll on our brains, and henceforth our happiness. Our brains are similar to us as humans in the sense that they too do not want to work any harder than they have to. Repeating behaviors, such as complaining, causes your neurons to branch out to each other and make information more easily transferred. So this makes it easier for you to complain more, without even realizing you’re doing it. 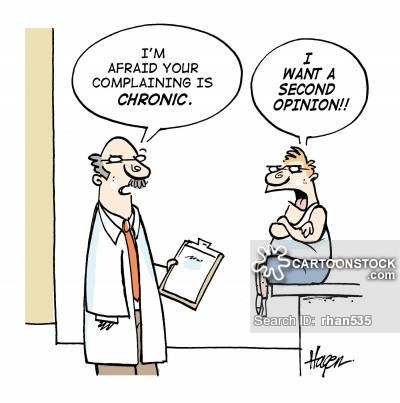 Complaining also shrinks your hippocampus, according to research from Stanford University, an area used in problem solving and memory. Complaining is also bad for your health. When you complain, your body releases more of the hormone that shifts a human into fight-or-flight mode, the hormone known as cortisol. This directs oxygen, blood, and energy from any system that is not crucial to survival. Frequent complaining results in extra cortisol being released, which puts a person more at risk for high cholesterol, diabetes, heart disease, obesity, and strokes. So what can we do to stop ourselves from complaining? Every time you find yourself making a negative observation, make a positive one instead. It is recommended that a person takes time to think about what they’re grateful for. Doing this can reduce cortisol by 23%, according to research at the University of California, Davis. 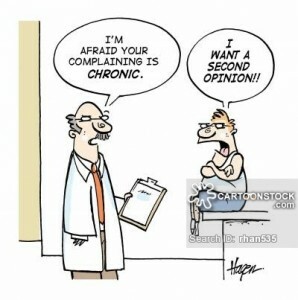 Decreasing the amount you complain will have an overall more positive impact on your health. So why not start today? “What Complaining Does To Your Brain… And Your Happiness.” Woopaah, 23 September 2015. http://www.woopaah.com/blog/2015/9/23/what-complaining-does-to-your-brain-and-your-happiness.html. Accessed 21 October 2016. Bradberry, Travis. “How Complaining Rewires Your Brain For Negativity.” Entrepreneur, 9 September 2016. https://www.entrepreneur.com/article/281734. Accessed 21 October 2016. “New studies of human brains show stress may shrink neurons.” Stanford News Service, 14 August 1996. http://news.stanford.edu/pr/96/960814shrnkgbrain.html. Accessed 21 October 2016. “Gratitude is Good Medicine.” UC Davis Medical Center, 25 November 2015. http://www.ucdmc.ucdavis.edu/medicalcenter/features/2015-2016/11/20151125_gratitude.html. Accessed 21 October 2016. This entry was posted in Uncategorized on October 21, 2016 by Mansi M Patel. Do bad breath and happiness correlate? Have you ever had a conversation with someone and all you could notice is how bad their breath smelled, or how bad your own breath smelled? Did it negatively impact your experience in the conversation? International Journal of Dental HygieneIf the answer to both these questions is yes, then it’s quite easy to think that beating bad breath can contribute to overall happiness. Bad breath, also known as halitosis, is most commonly caused simply by poor oral hygiene. That’s right – just brushing your teeth and tongue as well as flossing more often can stop the buildup of bacteria on and between your teeth, tongue and gums. Not only can this cause bad breath, but it can also cause gum disease and tooth decay. That’s not going to make a person too happy either. A study in the International Journal of Dental Hygiene examined the relationship between bad breath and people’s overall quality of life. It found that on average, people with bad breath were two times more likely to be unhappy than those without bad breath. This study questioned people on specific parts of their daily lives and found that those with bad breath had 500% more negative experiences than those who did not. 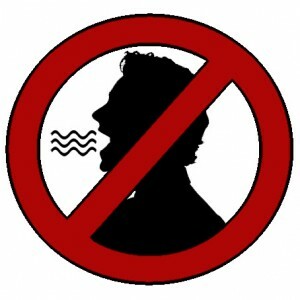 People with bad breath made the claim that having such had a negative psychological impact, especially in self-esteem. CEO of the Oral Health Foundation Dr Nigel Carter OBE says that a person’s outlook on life can be improved with better oral hygiene. He says that it can positively impact their professional and personal relationships as well and claims that ridding oneself of bad breath is fairly easy to achieve. So what can someone suffering from halitosis do to improve oral hygiene? The first step is to brush your teeth. The Community Dentist Network recommends that people brush their teeth for approximately 2 minutes, spending equal time on each part of their mouth. People should brush AND floss twice daily. More things people can do are rinsing their mouth out with mouthwash after brushing and flossing and clean their tongue as well. They should also try to keep a healthy diet, as certain foods contribute to bad breath. And of course, schedule regular visits with a dentist. “Is Beating Bad Breath the Key to Happiness?” Dentistry.co.uk, 14 October 2016. http://www.dentistry.co.uk/2016/10/14/is-beating-bad-breath-the-key-to-happiness/. Accessed 21 October 2016. “Is beating bad breath the key to happiness?” Oral Health Foundation, 14 October 2016. https://www.dentalhealth.org/news/details/938. Accessed 21 October 2016. “What Your Oral Hygiene Should Consist Of?” 123Dentist. 12 March 2013. https://www.123dentist.com/what-your-oral-hygiene-routine-should-consist-of/. Accessed 21 October 2016. Most people would like to think that they would never cheat, regardless of the circumstance. We can say with certainty that if the likelihood of being caught cheating is especially high, we definitely would not even attempt. However, when the likelihood of being caught cheating is low, research and past events have found that people would in fact cheat a little bit. According to research by Dan Ariely, only way to defeat the problem of cheating in high education is by changing the structure of the environment in which they are performing, instead of focusing on what group cheats more than another group. The author acknowledges that cheating cannot be eliminated in its entirety, however preventative measures can be taken. If the learning environment itself is modified, then the number of instances of cheating can be reduced. In the “Princess Alice” study, a group of 5 year olds were given a difficult task in to do (using their non dominant hand) alone as well as in front of an adult and an imaginary person named Princess Alice. It was found that the children were more likely to cheat without the presence of an adult or if they did not believe that Princess Alice was real. Ariely’s experiment and the Princess Alice experiment both provided common cheating-inducing experiences. Psychologist George M. Diekhoff conducted a survey in 1994 comparing cheating habits among students in similar courses in both Japanese and American universities. The American students were, on average, younger than the Japanese. Other survey research finds that older students are less likely to cheat than younger ones. Yet the Japanese students cheated 29% more than the American students. It can be theorized that the difference in rates of cheating is due to the cultural differences between these two countries. In order to encourage more honest work and less cheating, courses need to be modified. For example, in Japan final exams are weighted most heavily, with pop quizzes and other exams rarely given. Therefore, study habits were not regularly practiced. Passing these exams, therefore, is a lot of pressure for these Japanese students. The explanation is as follows: “The fewer opportunities that students have to earn their grade in a course, the more pressure they feel to perform on each exam or assignment. The more pressure they feel on each exam or assignment, the more likely they are to succeed by any means necessary, including cheating.” For most of those teaching in higher education, they have the ability to design their courses as they see fit, unlike those taking the Chinese civil-service exams or other standardized tests, where cheating is found to be prevalent. Providing many assessments, as opposed to just two or three large exams, is more likely to eliminate cheating. The benefit of cheating on one small assessment is low, while the consequence of cheating on any assessment is always high. These frequent assessments will also provide students with practice for when the high-stake exams take place, because this article does not condone eliminating them entirely. The point made here is to not exactly redesign a course to reduce cheating but rather to induce learning. The first survey of cheating in higher education in the United States was conducted by William J Bowers in 1963. This survey asked if the students had engaged in any of 13 dishonest academic behaviors. 75% of students surveyed admitted to cheating at one point during college. There has been an astounding rate of cheating amongst college students over the past 50 years. The author believes that it’s time for the faculty to take a role in redesigning courses, assessments and daily classroom habits to prevent cheating from occurring. The best defense against a student cheating is a student not needing to cheat, therefore learning. When provided with the tools they need, students need not to cheat. Actually taking more quizzes and exams produces more learning than simply reviewing notes, hi-lighting text, or rereading books. The key to learning in the Karpicke and Roediger study is the repeating testing and not the studying. This entry was posted in Uncategorized on September 16, 2016 by Mansi M Patel. Hi! My name is Mansi Patel and I am a sophomore in Divison of Undergraduate Studies (an undecided major). I am from a small town in Bergen County, New Jersey about 30 minutes away from New York City. My mother is a psychiatrist and growing up I was sure I would become one as well and take over her practice. However, when I realized that going to medical school was required in order to become a psychiatrist, I became unsure if going to school for many more years and completing internship, residency, and fellowship were things that I wanted to do. After taking an honors biology class my freshman year of high school, I thought a science related career probably was not for me. After honors chemistry and honors physics, I became sure that a science related career was not for me. I performed poorly in all of these classes and just found the material too difficult to comprehend majority of the time. Though I definitely found it interesting, I found that I wasn’t fully understanding the material, just swallowing it and regurgitating. However, what I am particularly interested in is the study of behavior and the mind so I am considering majoring in psychology, which is in the Liberal Arts college. There is a constant debate over whether or not psychology is a social science or a hard science. http://articles.latimes.com/2012/jul/13/news/la-ol-blowback-pscyhology-science-20120713 This is an article discussing why psychologists are not necessarily scientists. There is BS (Bachelor of Science) and BA (Bachelor of the Arts) for Psychology, so I am leaning more towards a BA in Psychology because there are no science related classes for this major. This entry was posted in Uncategorized on August 31, 2016 by Mansi M Patel.